Total 33.84 per cent voting was registered in the by-election to Jasdan Assembly segment in Gujarat till noon on Thursday, election officials said. The bypoll has become a battle of prestige between the ruling BJP and opposition Congress in the wake of the latter winning the Assembly elections in three Hindi heartland states of Madhya Pradesh, Rajasthan and Chhatissgarh. The BJP has fielded Kunvarji Bavaliya, who had won the seat as a Congress MLA in 2017, but joined the saffron party after the polls. Bavaliya is pitted against Congress' Avsar Nakiya, a Rajkot district panchayat member. According to election commission officials, 78,546 voters or 33.84 per cent of the total voters cast their votes between 8 am and 12 noon. Voting passed off peacefully, without any reports of untoward incidents, they said. Both Bavaliya and Nakiya exercised their franchise in the morning. While Bavaliya cast his vote at a polling booth at Vinchhiya village, Nakiya did it in his native Asalpur village. A total of 19 candidates are in the fray in Jasdan, although the main contest is between Bavaliya and Nakiya. 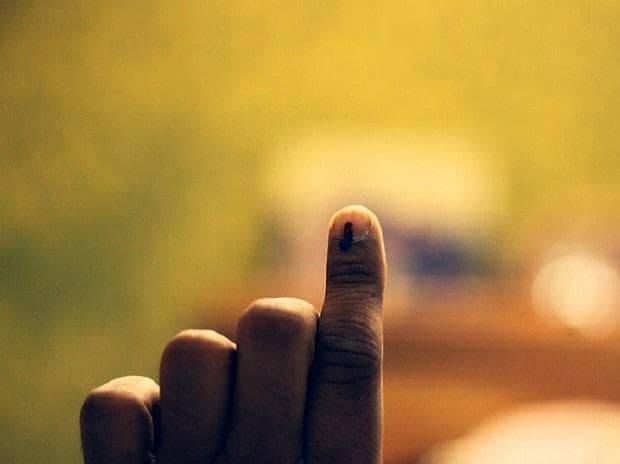 There are total 2.32 lakh voters in the constituency, of whom 1.22 lakh are men, while 1.09 lakh are women. The constituency falls under Rajkot district. Counting of votes will take place on December 23. The by-election was necessitated after Bavaliya, the sitting Congress MLA, resigned from the party and also as a legislator on July 2. On the same day, he was inducted as a cabinet minister in the BJP government in the state. To continue as minister, Bavaliya will have to get elected as MLA within six months of assuming the office.